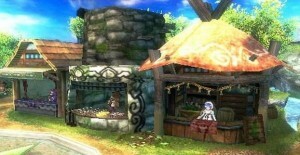 Final Fantasy Explorers looks like a great Monster Hunter game wrapped around final fantasy themed elements. That one premise alone peaked my interest since I am a fan of many Final Fantasy games and the popular Monster Hunter series. After playing for a couple of hours, you will soon realize you probably won’t finish Final Fantasy Explorers. The game features a story, but don’t get too enticed by the plot. You are an explorer (go figure) and you are tasked with completing missions for the resident of the island as you save the world. As you complete quest, you eventually battle giant monster, eidolons, that control certain areas of the island. That pretty much sums up the entire plot for Final Fantasy Explorers. The lack of story for the game was probably a smart move considering certain plots in the previous Final Fantasy series have missed their mark. These elements are great to copy but Final Fantasy Explorers falls short on uninteresting creatures to fight and dull landscapes. The landscape can be boring to travel an sometimes you have to venture aimlessly throughout the entire island just to figure out where you need to go for your quest. The game provides you a fast travel airship after 3-4 hours of gameplay but the fast travel fails to deliver you to your desired destination. The airship can only travel to certain areas near your desired location. 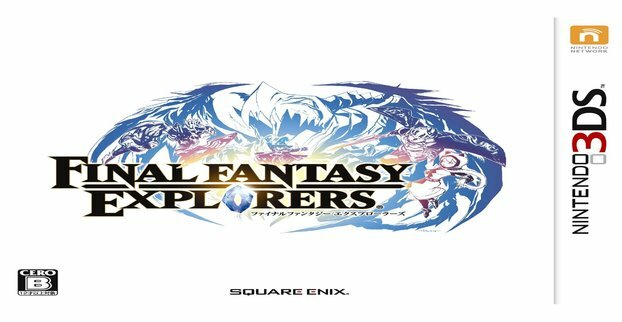 The gameplay mechanics of Final Fantasy Explorers is easy to understand and simple to use because of the game’s vast tutorial quests that teach you how to play. My main concern is how the game does not have the ability to control the camera at any point in the game. The 3DS XL has a ton of unused buttons in this game and the c stick is one of those unused buttons. Why Square-Enix decided not to let you fully control the camera angle is beyond me. Final Fantasy Explorers still retains the elements of job system where you can change your job to equip certain weapons and apply different strategies. I would play one job to see how one strategy worked until I got bored and changed jobs to see a different playing strategy. You can learn and apply different Magical abilities and techniques to customize your abilities for variety and personal affect. The fun with all the abilities is when you activate Crystal Surge, a function that provides you with random status altering options on a temporary basis. Crystal Surge can affect your physical attacks, magical defenses, recovery abilities, or speed, but they do cause a Mutation (actual word used in FF: Explorers gameplay) which alters all your magical abilities and techniques. Experimenting with the different abilities, mutations, and Crystal Surges is fun to try out but is often unnecessary when taking down enemies. The only problem is you can use them anytime because you have an AP system for your techniques that regenerates with ease. I never had to use any items to restore my AP points. Unlike Monster Hunter’s challenging AI, which required you to study enemy AI and plan your attacks, Final Fantasy Explorers’ AI and difficulty in the game is dull and simple to defeat. I went up against multiple bosses and I felt like they weren’t a real challenge to me. In all my battles against Ifrit, Shiva, and other bosses, I died only once and I was able to use a Phoenix Down on myself to finish the fight. I had multiple potions and items that I never had to use. Certain Missions, have options to increase the difficulty of the mission (like, damage to enemies is reduced by 50%) but even all the difficulty options still didn’t provide me with a challenge. It wasn’t until I beat the game under 30 hours did I have the ability to unlock a harder mode which allowed me to feel like these cute little monster and bosses where going to stop me on my quest. 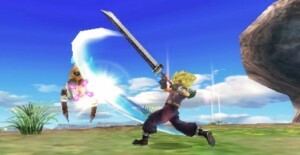 Final Fantasy Explorers does possess cool functions that can appeal to the Final Fantasy fans. The game allows you to create monsters, fuse them for cool abilities, and have them join your party during quests. This feature is particularly cool when you see Cactaur or a Chocobo deliver some cool and fun attacks. The game allows for you play with other people in online coop gameplay which can provide a new outlook to gameplay. If you don’t have enough players online, and you are the lead party member, you can call in one of your monsters to join in your fight. This was fun until the creatures in your party take up the entire screen. Most fans will enjoy the cute homages to previous Final Fantasy games such as temporarily summoning and controlling Cloud during a mission or collecting clothing and weapons from other Final Fantasy games. It took me a while to get Sephiroth’s cloak (from Final Fantasy VII) and it was pretty cool to see my character wear it. Final Fantasy Explorers isn’t a bad game, but it isn’t a great game either. It is a cool and simple game to enjoy with friends but it is very simple and repetitive to play. There feels like nothing is at stake when I play this game. When I beat the game, it simply made me want to play Monster Hunter all over again. I give Final Fantasy Explorers a 6 out of 10.